First let me apologize for the audio quality this week. We had some technical difficulties during recording which will be sorted out for the next episode. This weeks segments are a look at the News, photographing your coins, and Coins 101: how to handle your coins. If you want to listen the sections begin at 1(0:00), 2(19:41), and 3(28:49). Enjoy and please comment here or on our Facebook page. 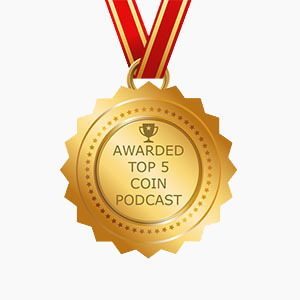 The one and ONLY numismatic podcast!